The Semi-Slav Defense is a mixture of the Queen's Gambit Declined and the Slav Defense, characterized by Black's pawns advance to both c6 and e6. The following game is one of Anand's best. "Anand's love of the Semi-Slav defense goes way back. In 1991 in Brussel, the then 21-year-old Indian grandmaster made headlines by exchanging punches with the former world champion Anatoly Karpov during their quarterfinal Candidates match. The Semi-Slav was Anand's main defense. The score was tied before the last game. The magical use of the long diagonal h1-a8 helped Anand to win the world championship matches against Vladimir Kramnik in 2008 (Game 3) and Veselin Topalov in 2010 (Game 12). He owns the diagonal, it is his highway to the chess crown. Aronian saw the light bishop come to life and it was a monster. And things got worse after Anand also included the dark bishop into his attack." This move is a preparation for c5 pawn advance. A positional trap that may lead to 12....Bxh2+, 13. Kxh2 Ng4+, 14. Kg1 Qxg5, 15. f3 Ngf6, 16. b4 with a better position for White. Now, all pieces break loose. White wins a pawn, but his Knight gets stranded along the way. Not as good as 13....c4, 14. Nxf6 Nxf6, 15. Be2 and White gets the edge. White blocks the long diagonal, but Anand decides to use his other Bishop. If 14....h3, then 15. Bh2+ Kh1, 16. Qh4 and Black has plenty of counterplay. A surprise move. This Bishop sacrifice is designed to take control of the g1-a7 diagonal. White underestimated Black's next move. But capturing the Bishop still retains Black's lead: 16. dxc5 Nxc5, 17. Be2 Qd4+. The e5 Knight cannot be captured: 17. fxe5 Qxd4+, 18. Kh1 Qg1+, 19. Rxg1 Nf2 mate. If 17. dxc5 Qd4+, 18. Kh1 Nf2+, 19. Rxf2 Qxf2 and Black mates either at g2 or at the first rank. There is no need for the Black Queen to rush to h4. If 19....Qh4, then 20. Qh7+ and the attack collapses. This prevents the Queen move for the moment. Black still wins after 20.Qd3 Qh4, 21.Qg3 Qxg3, 22.hxg3 Kxf8, 23.Rd1 (23.Nd1 Ke7 threatening 24...Rh8 mate.) 23...Bxc3; or after 20.Qe2 Qh4! 21.Qxe6+ Kxf8 22.Qxf5+ Kg8 23.Qe6+ Kh8. Other moves would not help. If 21.Qd3 Qxg6 22.Qg3 Nf2+-+; or 21.Ne5 Nxh2! 22.Rf2 Qh4 23.Kg1 Qg3-+. After 22. hxg4 Qh6 mates. White resigns. The move effectively blocks the defense of the h-pawn where the White Queen threatens mate by 24....Qxh3+. If 24. Bxe3 Qxh3+, 25. Kg1 Qxg2 mate. An amazing chess brilliancy of Viswanathan Anand. The game bears a striking similarity to the game between Rotweli and Rubinstein in Lodz (1907). 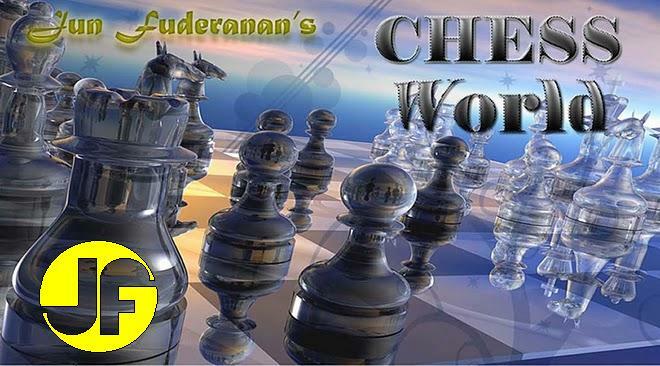 That game is known as Rubinstein's Immortal Game, and considered one of the greatest chess games of all time.